Barley creates new Opportunity in The Swartland « West Coast Business News & Directory. The availability of improved varieties, mandate contracts and storage infrastructure promise to turn barley into a lucrative option in the Swartland. 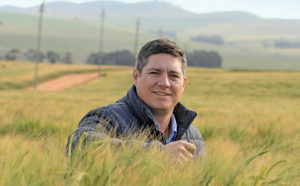 Gert Claassen, who five years ago started producing barley on a commercial scale, spoke to Glenneis Kriel about this opportunity. Barley is produced in South Africa primarily for the malting industry. In 2013, when Gert Claassen and his father Koot exchanged the fertile maize lands of Delmas in Mpumalanga for the wheat lands near Malmesbury in the Western Cape, they were looking for ways to combine quality of life with the opportunities that the beautiful Swartland held. “Because the Swartland is such a stable wheat- and sheep-producing region, wheat rotations here have traditionally been limited to medics and canola. Coming from the Highveld, I struggled with the idea of planting only one main crop, so I started working on alternatives,” recalls Claassen. One such alternative was barley, but past attempts to establish it as a commercial crop in the Swartland had been unsuccessful, according to Claassen. This was because Clipper, the only variety planted at that time, was ill-suited to the region’s climatic conditions and production practices. His search led him to a malting barley trial programme in the Swartland aimed at establishing a new high-fermentation variety, S5. A handful of farmers were participating in the programme, which had been running for three years by the time Claassen joined. However, the trial was halted after the fourth year. “I’m not too sure why, because I was very satisfied with the results. The yields were good, and nitrogen levels, always one of the biggest quality constraints in the Swartland, were acceptable for normal malting grade,” he says. 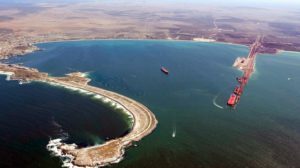 In 2014 and 2015, in the absence of regional contracts, Claassen supplied SAB Miller (later to merge with AB InBev) under a contract with Unigrain in the Southern Cape. He produced S9 (Agulhas) and S12 (Hessekwa) barley varieties on 800ha. His rotation over the 3 200ha cropping area consists of two years of wheat, followed by one year of barley and one year of canola, which is shared with seed potatoes. Irrigated maize is then planted as a summer crop to produce silage for the local dairy industry. In addition, the family farms irrigated wine grapes on 100ha. In 2014, the Claassens, in conjunction with Unigrain and Pretoria-based company Afgri, built a 12 000t capacity silo on their farm, giving them more control over the flow and storage cost of their product. This laid the foundation for the beginning of a Swartland mandate. After the 2015 drought and problems with malting quality, Claassen realised that he had to increase production in order to manage risk better. At this time, Afgri, with whom the Claassens had had close relations for over 40 years, handled the northern contracts for SAB Miller. Claassen therefore approached Afgri to help make a Swartland production mandate possible. “At first, only a few friends joined in the production of malting barley in 2016, but the good performance of the barley during that year helped to spark more interest,” he recalls. He adds that Afgri is extremely open to new ideas. The first year of the new venture proved to be disastrous because of the drought. Farmers produced an average of 1t/ ha of malting barley, with the total crop amounting to only 3 200t of the envisaged 12 000t. “In spite of our failure to meet the target, AB InBev and Afgri increased our offtake mandate to 24 000t for this season, which means we can enlarge the area under production from 3 200ha to 6 500ha. Climatic conditions are more normal this season, so we’re confident of meeting the target comfortably,” Claassen says. The plan is to increase the mandate with AB InBev to 75 000t over the next three to five years, after which production will be sustained in line with AB InBev’s demand. Gert Claassen has pioneered barley production in the Swartland on his family farm near Malmesbury. The key to successful production is to conform to the strict quality regulations of the malting company, otherwise the barley can be downgraded to a lower quality, with prices up to R1 500/t lower than for malting barley. 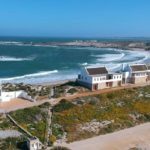 “South Africa produces some of the best barley in the world, but our risks are also significantly higher than anywhere else. 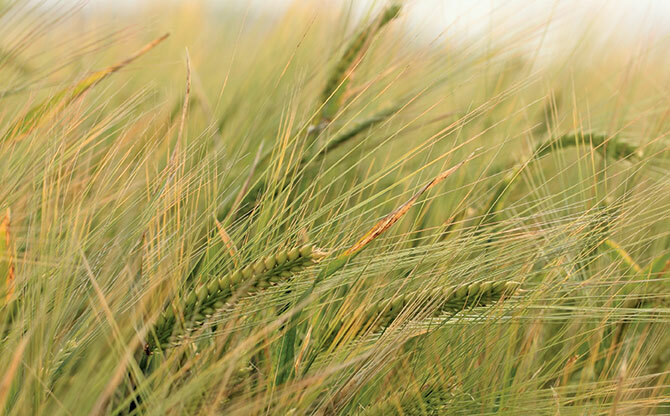 We’re one of the few countries that aim to produce malting barley from the start. In most countries, barley is planted for the feed market as well, and only the best quality is sent to the malting market. There is also the fact that many countries producing barley in Europe are heavily subsidised,” Claassen says. 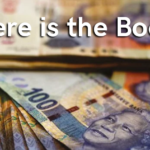 Swartland farmers are not satisfied with the price they currently receive for their crop. A high nitrogen level is the main concern when growing barley; the level rises significantly when it does not rain in September, resulting in small seed. To overcome this challenge, Claassen has started planting his barley two weeks earlier than before; this is done along with canola during the last week of April to the first week of May. The result is earlier seed set (before mid-September), enabling him to harvest the barley at the end of October. Barley, like all small grains, does not like competition in the land, so volunteer wheat and weeds are sprayed with Roundup before planting to ensure a clean seedbed. Barley seed is planted with a John Deere 1990 CCS coulter planter at an inter-row spacing of 190mm. Each planter can plant 100ha/day. “We aim to average 300ha/ day to hit the optimal seeding window,” says Claassen. Since starting with barley, he has reduced his seeding density from 70kg/ha to 55kg/ha. “By doing this, you lower inter-row competition between plants and in effect boost the development of stronger, more resilient plants, particularly in terms of their root systems,” he says. Omnia and Intelligro have developed a management programme for Claassen’s barley based on soil and leaf analysis in the productive stage of the plants, and this is adjusted during the season according to plant performance and climatic conditions. to 70kg/ha before planting and an additional application is made before the plant enters the four-leaf stage. This brings total application of nitrogen to between 75kg/ ha and 80kg/ha. “As with all small grains, timing is everything with barley. Doing something too late can make a big difference at harvest time,” Claassen says. Despite the high risks, malting barley is usually more profitable than wheat when its quality is good, as most farmers produce 0,5t/ha to 1t/ha more malting barley than wheat. Input costs are also slightly lower than for wheat, mainly as a result of lower fertilisation costs. In addition, barley helps farmers to diversify and lower market risk by breaking the cycle of continual wheat delivery and oversupply; this enhances the sustainability of wheat production. “In one way or the other, we have to start managing the oversupply of wheat in the main production areas,” says Claassen. Barley also helps break the chemical cycle in that farmers can rotate the active elements of herbicide and fungicide. “The soft stubble of barley may also have a faster effect on soil health, although this is still to be proven,” says Claassen.